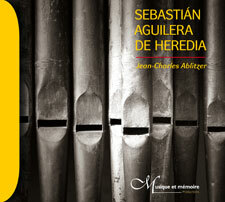 Musique et Mémoire continues its collaboration with the organist Jean-Charles Ablitzer with this third recording devoted to the complete organ works of a major figure in seventeenth-century Spanish music, the composer Sebastián Aguilera de Heredia. 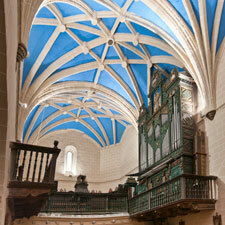 Like Jehan Titelouze, Michael Praetorius and even Girolamo Frescobaldi, Sebastián Aguilera de Heredia, who was born in Aragon and was organist at La Seo in Zaragoza, represents the period of transition between Renaissance and Baroque. This music is colourful, inventive and eloquent.